WASHINGTON (AP) — Secretary of State Rex Tillerson indicated Sunday that President Donald Trump's values should be considered separate from America's values when it comes to race, appearing to repudiate the president's response to violence at a white supremacist march in Virginia. Trump's statement condemning the "egregious display of hatred, bigotry and violence, on many sides" in Charlottesville drew criticism that he was morally equating neo-Nazis with the individuals protesting against them. 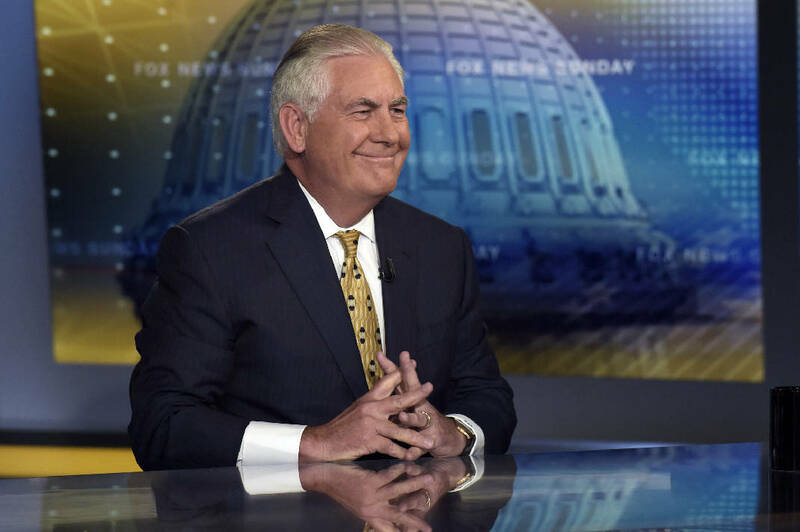 Appearing on "Fox News Sunday," Tillerson said the nation's commitment to fighting racial injustice was unquestioned. "We express America's values from the State Department. We represent the American people, we represent America's values, our commitment to freedom, our commitment to equal treatment of people the world over and that message has never changed," he said. When asked about Trump's values, Tillerson said "the president speaks for himself." Tillerson was the second White House official in recent days to appear to more explicitly criticize Trump. Last week, Trump's top economic adviser, Gary Cohn, sharply denounced the president's response, telling the Financial Times that he wrote a letter of resignation but never submitted it. Some other White House officials, including Treasury Secretary Steven Mnuchin, have defended Trump. Trump's response to the Charlottesville violence earlier this month also prompted a rebuke from a top United Nations body on racial discrimination, which urged the United States to "unequivocally and unconditionally" reject racist hate speech and crimes after the rally in Virginia and called on Trump to take the lead. Tillerson previously condemned hate speech and bigotry more broadly as un-American and antithetical to the values on which the U.S. was founded and promotes abroad.